macaroni & cheese: A surprise for Doug!! I feel confident posting this because he NEVER reads my blog....so the shirt will still be a surprise when he gets home on Wednesday. this is Kwik Sew 3422. I *just* got this pattern from Fabric.com when they had the Kwik Sew patterns as their Daily Deal. 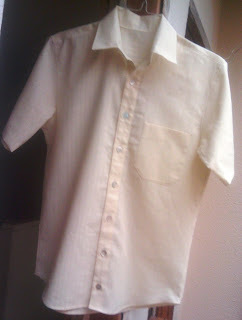 I used shell buttons on the front. From pattern tracing to finish, photography and posting in the SAME DAY! This is a great pattern and goes together VERY easily. 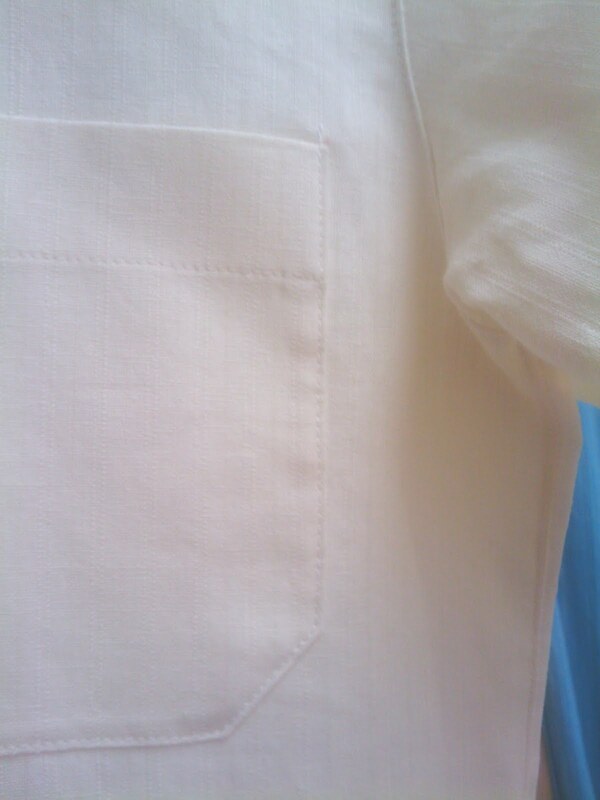 the front pocket!! I love this pocket! I got another shirt pattern for Doug from Burda that has the most horridly boring pocket, and I think I'll use this one on that shirt, too. Lots of top-stitching. Terah returned my blind hem (aka: top-stitching) foot today! The back yoke and back of collar, also top-stitched. 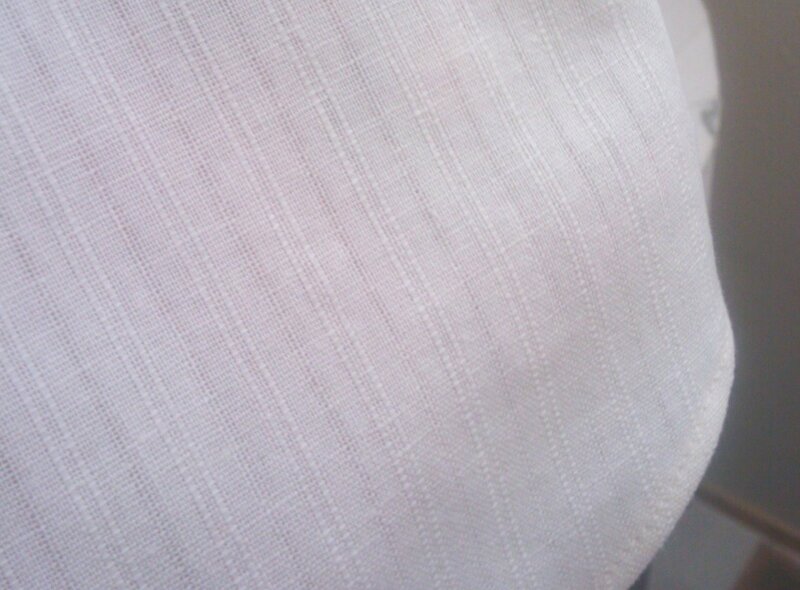 A close-up of the fabric. 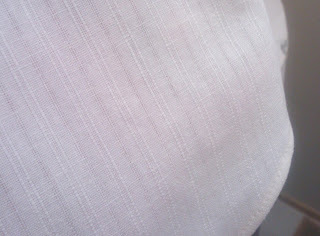 This is a linen blend I got for $2.50/yd from Jo-Ann's clearance rack. It's SO pretty: a nice light ivory. Thanks for looking! I've got a super-duper vintage pattern post coming up soon! Thank you Kitten! You are awesome! oops Doug was NOT suppose to see that!! oh well... it is awesome! 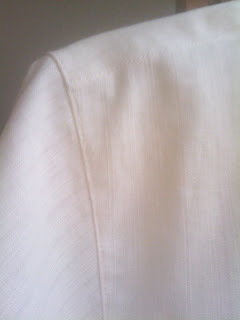 I love the top stitching. 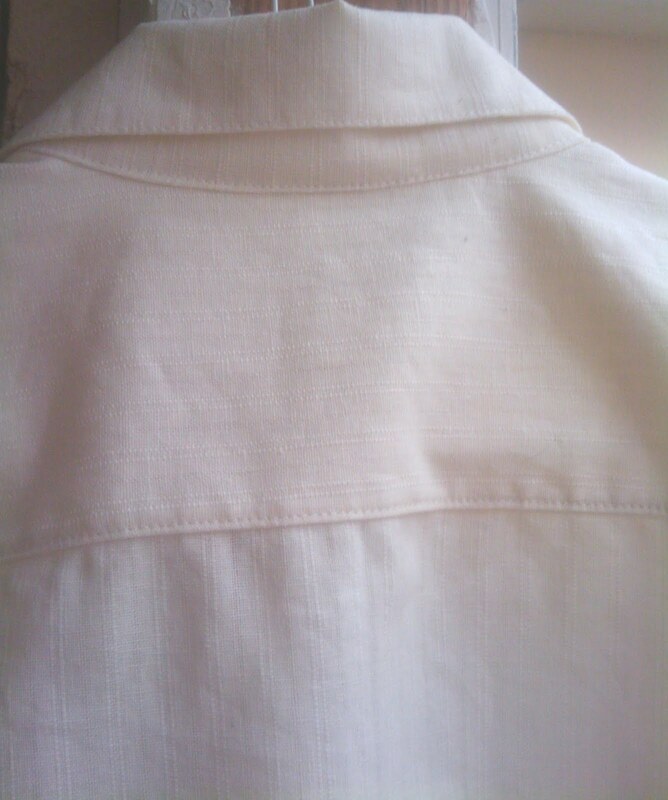 I love doing top stitching! Weird, huh? You again did an outstanding job!! You rock!